The final leg was another stretch I've cycled many times. 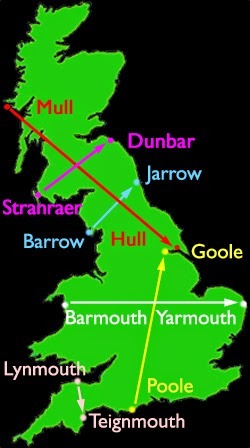 From Ferriby I followed the Trans Pennine Trail alongside the Humber (picture). There's still a sign up claiming the route is 'closed to cyclists', even though it reopened weeks ago. Being an experienced touring cyclist, I always read such signs carefully. And then ignore them. After the Humber Bridge I went along Hessle Road, which is to Hull what the East End is to London: the heart of its working class, though the Krays wouldn't fit in here. They'd be seen as posh, soft goody-goodies. Anyway, mum came from this area, and dad had his shop here, but it hasn't thrived for decades and many of the shopfronts are a forlorn row of shutters (picture). Still, Hull has a fair few things to cheer about at last - a Premiership footy team in Europe next season, some glimmers of windfarm industrial development, its status as UK City of Culture 2017... It's not fashionable to sneer at us any more. 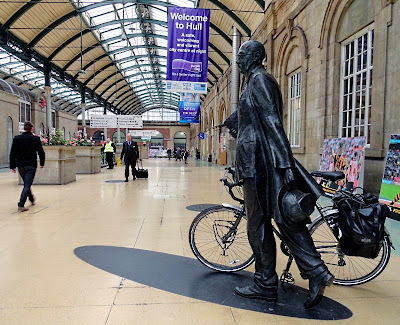 All of which would have bemused glum librarian-poet Philip Larkin, who made his home, and wrote his best work, in Hull. 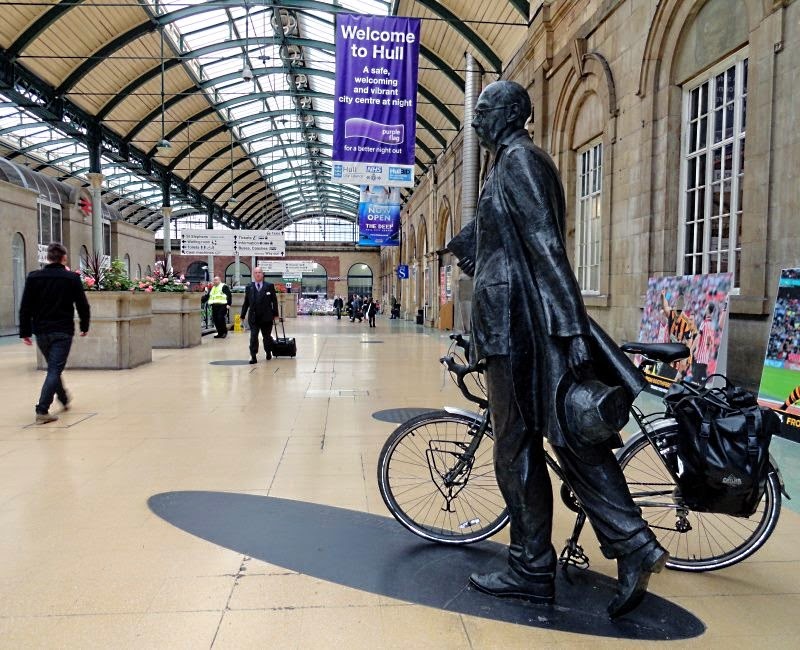 His statue adorns the train station with a quote from The Whitsun Weddings. The statue is excellent but lacks one vital element, which I provided (picture): Larkin was a cyclist. A job well done! What next?